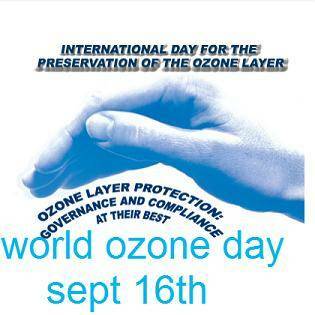 In 1994, the UN General Assembly proclaimed 16 September the International Day for the Preservation of the Ozone Layer, commemorating the date of the signing, in 1987, of the Montreal Protocol on Substances that Deplete the Ozone Layer. The ozone layer, a fragile shield of gas, protects the Earth from the harmful portion of the rays of the sun, thus helping preserve life on the planet. On this day primary and secondary school educators throughout the world organize classroom activities that focus on topics related to the ozone layer, climate change and ozone depletion. Some teachers use educational packages from the UN Environment Programme (UNEP) that have been specifically tailored to address topics about the earth’s ozone layer.